Protest and Propaganda: W.E.B. 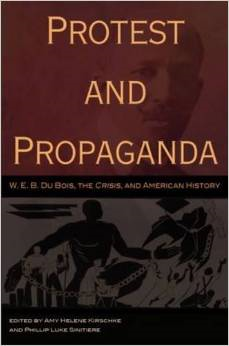 Du Bois, The Crisis, and American History. Edited by Amy Helene Kirschke and Philip Luke Sinitiere. University of Missouri Press. 270 pp., $45.00 (hardcover). This is a slightly off-beat, really smart book for scholars of W.E.B. Du Bois, The Crisis magazine (the group’s organ, created by Du Bois) and the Black press. It includes obvious flashpoints of Crisis history–like Du Bois’ ouster from the magazine in 1934 because of his call for Blacks to form their own economic co-operatives (which he boldly explained was voluntary Black segregation, much to the chagrin of Walter White and the very integrationist NAACP) and his surprising “Close Ranks” editorial in support of World War I–but does so in the context of other historical discussions. 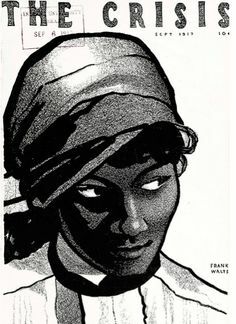 Keeping the focus clearly on Du Bois’ 1910 to 1934 tenure, Kirschke’s and Sinitiere’s contributors focus on under-discussed, or unfocused, aspects of the magazine’s history, such as its Black community arguments for women’s suffrage, Du Bois’ use of African and Africanized art and political cartoons (and the intellectual explanation of the art as a central space of content), Du Bois’ commitment to create Black children’s literature and folklore fantasy, and other topics. (The coda at the anthology’s end, which tries to update the magazine’s history into the 21st century, is way too shallow to give comment, but it is an understandable attempt.) This even collection, unusual in itself, is an important supplement to the work of Sondra Kathryn Wilson, David Levering Lewis, and others. The Crisis magazine deserves a body of literature, and this book shows that a quality, and qualified, one is definitely being developed.